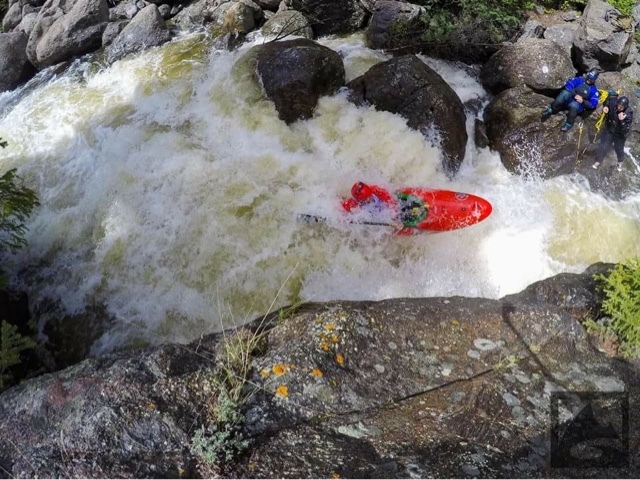 GOPRO MOUNTAIN GAMES ~ Captured in Color. 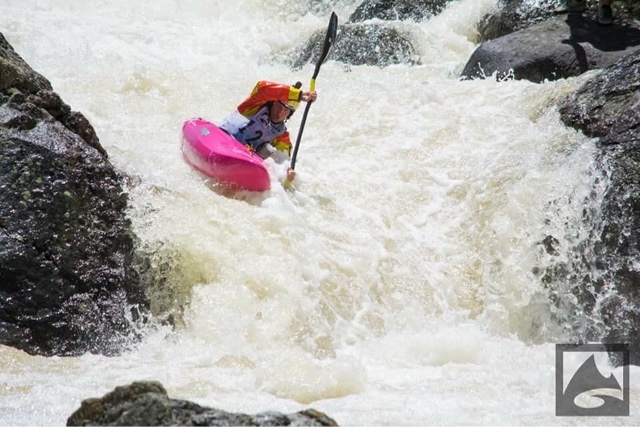 Photo Spread and article byCaleb Chicoine | DBP MAGAZINE ONLINE The World's Best Free Whitewater Publication. 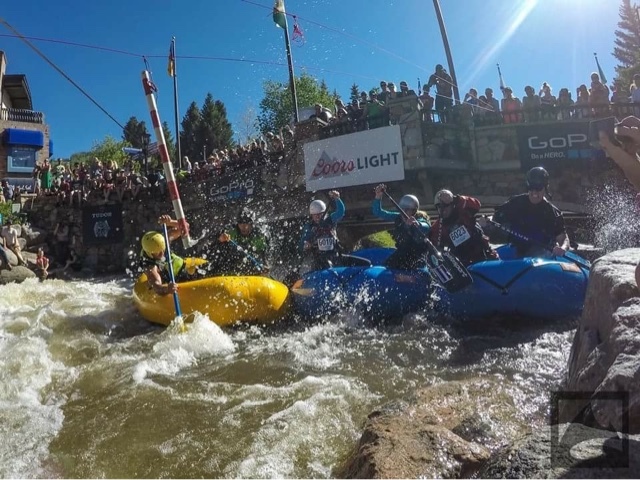 The GoPro Mountain Games: The time of year when all of the best athletes from all of the most unique sports gather in one area and show off their skills. 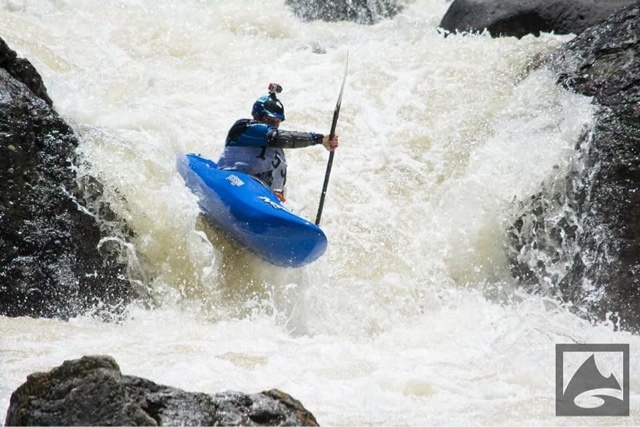 I say “unique sports” because the Mountain Games consist of activities such as bouldering, disc golf, fly fishing, dock dogs, mud runs, slackline, and of course, whitewater paddling. 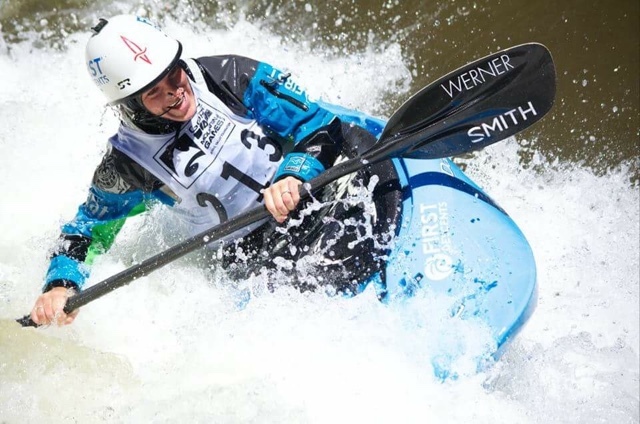 I was lucky enough to work the games as a photographer and shot most of the whitewater events. The games started off with a bang. 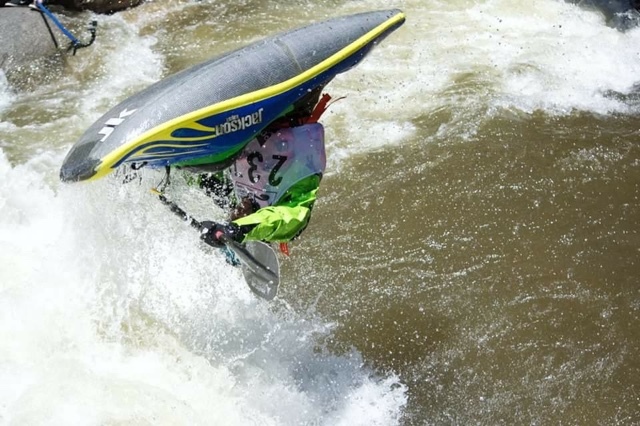 On day one was the classic Steep Creek Championships. 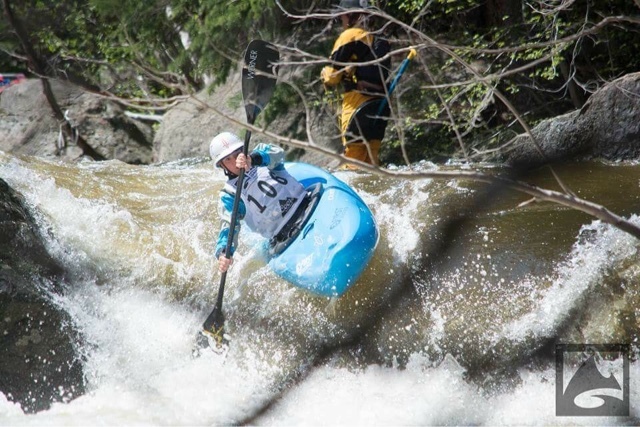 This kayak race takes place on Homestake Creek near Redcliffe, CO. On its own it’s an intense battle for first, down a quick but exhilarating class V creek. If you show up to this race you are bound to see some carnage. This year was even crazier. 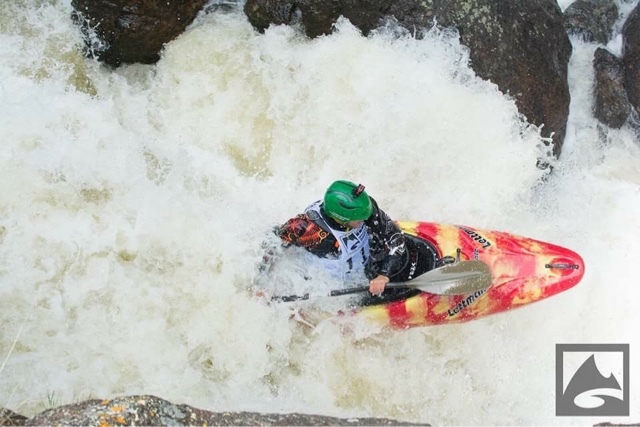 The flow of the creek during the race is around 200cfs on a regular year. This year it jumped to over 600cfs. That is TRIPLE the amount of water than normal. We all knew we were in for some surprises. And boy did we get surprised. Yes, there was the occasional swimmer and pinned boat, but the real surprise was when Alec Voorhees showed everyone that he is the real deal and took the win. 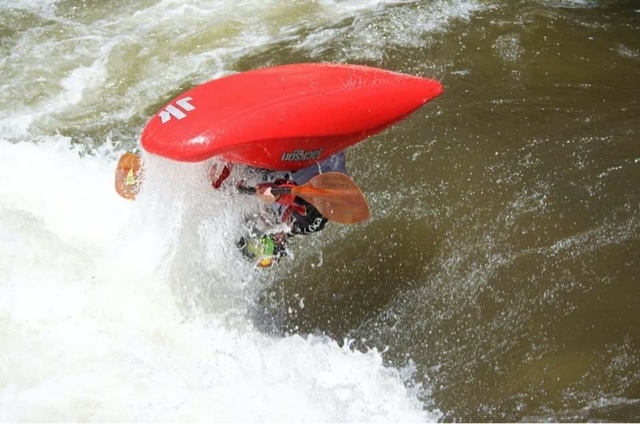 He beat out talent such as Dane Jackson, Rush Sturges, Rafa Ortiz, and Pat Keller. Alec showed that he is no longer a young gun, he is up there with the best. Then there was the freestyle event. With no surprise Dane Jackson pulled out the win for the men’s division. For the women, Claire O’hara of Great Britain took the W with a score of 380 points, followed closely behind by Adrienne Levknecht with a score of 353.33 points. Remember how I said the games started with a bang? Well, they ended with one too. The games ended with the classic 8 Ball Sprint. This event is one of a kind. 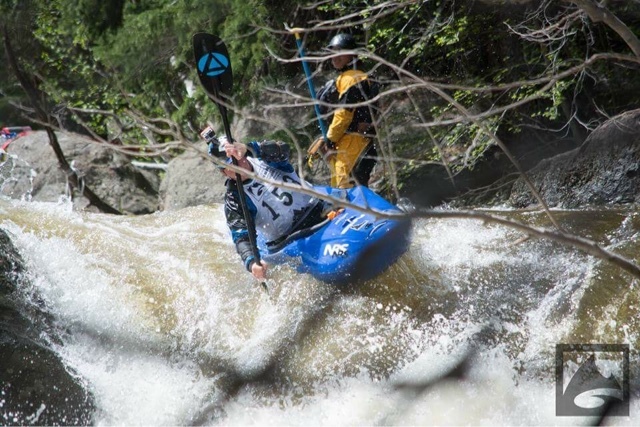 All of the best kayakers in the world start in the heart of Vail Village and battle it out for first on a class II stretch of Gore Creek that only lasts a few hundred yards! Yes, that is not a typo. What makes this event so fun is that there are dozens of “8 Ballers” with special bibs whose only job is to take out, flip, ram into, and make all of the pros look like beaters. And you could’ve guessed it, Dane Jackson one this too. Impressively, Hayden Voorhies (Alec’s little brother) got the bronze in this event. He too is now a force to be reckoned with. The event was a success, to say the least. 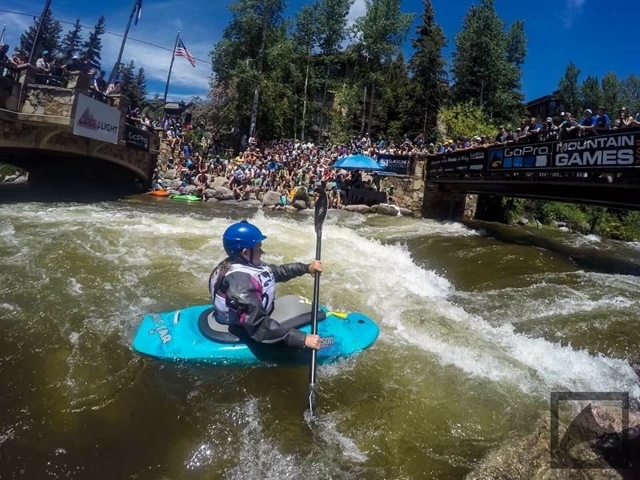 I’ll be back next year and provide you all with another report of all of the craziness that is the GoPro Mountain Games! 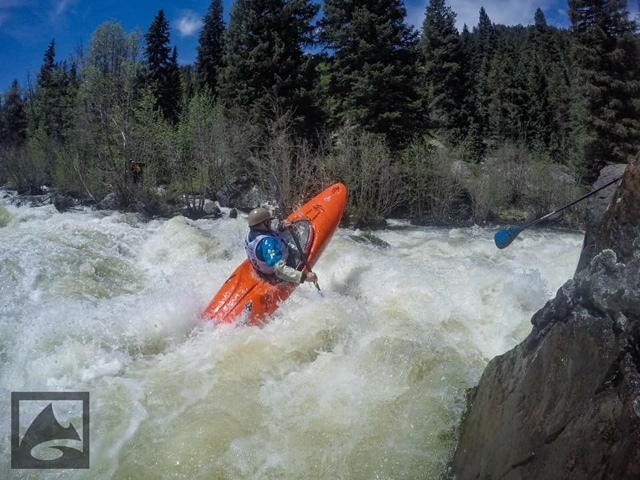 EDITOR’S NOTE: Caleb is a young talented filmmaker and photographer, and skier, climber, and kayaker, from Colorado, and a longtime DBP Admin. 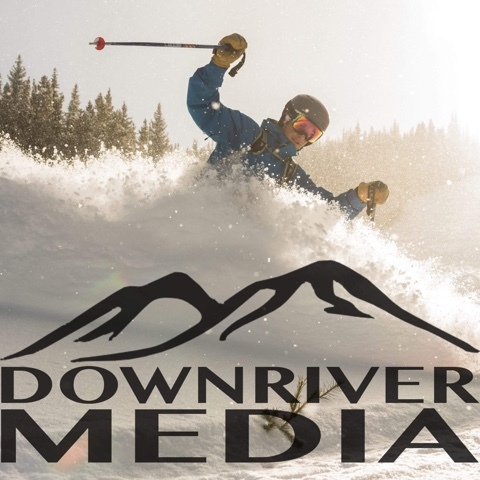 He is the mastermind of Downriver Media. Check this young gun out!